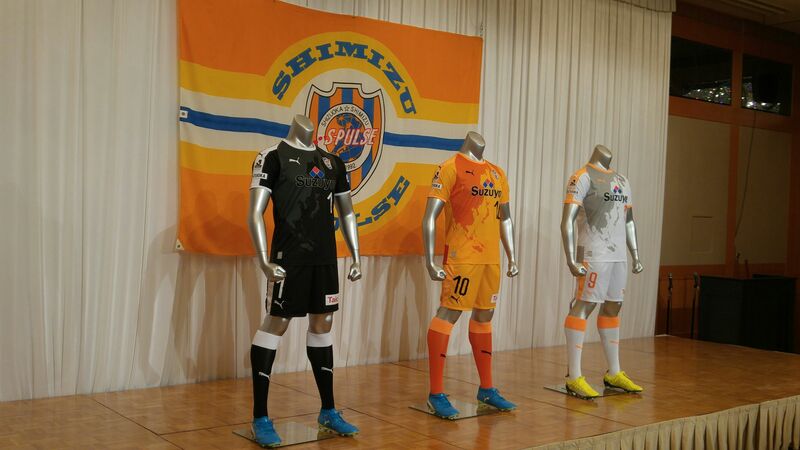 Official Shimizu S-Pulse jerseys for 2018 season! 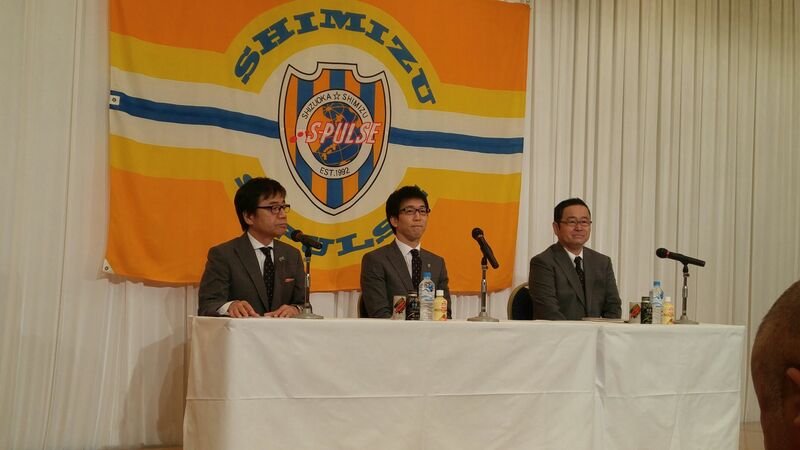 On January 12th the Shimizu S-Pulse 2018 Season New Team Announcement Meeting took place from 10 a.m. on the 4th floor of the Century Hotel in Shizuoka City! This was a long-awaited meeting after the near escape 2107 and some needed soul-searching. It must be said that the club men-in-charge of the club did not disappoint and decided to take the bull by the horns genuinely recognizing the past mistakes and resolutely looking forward. The President, Vice President and General Manager candidly addressed all issues in a refreshingly positive manner auguring well for the future. 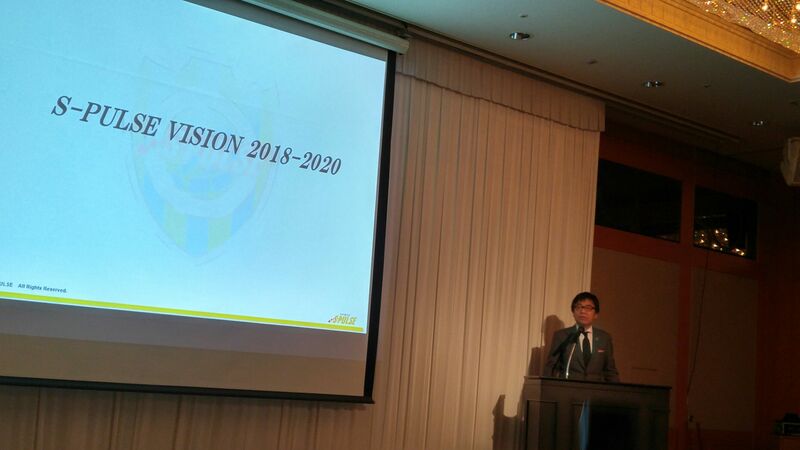 2027 season budget was almost 34 billion yen and will upgraded to 38.5 billion yen in 2018, 40 billion yen in 2019 and 42 billion yen in 2020. This is a budget well above the average in the J1 league with a sponsorship total coming 3rd in Japan, general earnings taking 5th place in Japan, sales reaching the 6th spot in japan and the wages taking 9th spot in a league accounting for 18 clubs. These figures will be upgraded this year and i the next two years with a clearly defined target to aim at a spot in the upper half of the J1 League in 2018, at least better that 7th place in the J! League and best 4 in the Emperor’s Cup Levain Cup and finally aim at the very top in all competitions in 2020! 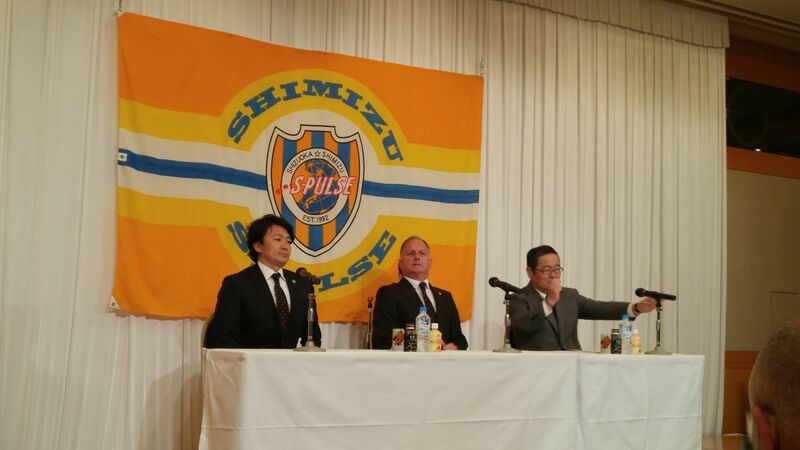 Shimizu S-Piulse aims at no less than becoming J1 League Champins within 5 years and ACL Champions within 7 years. 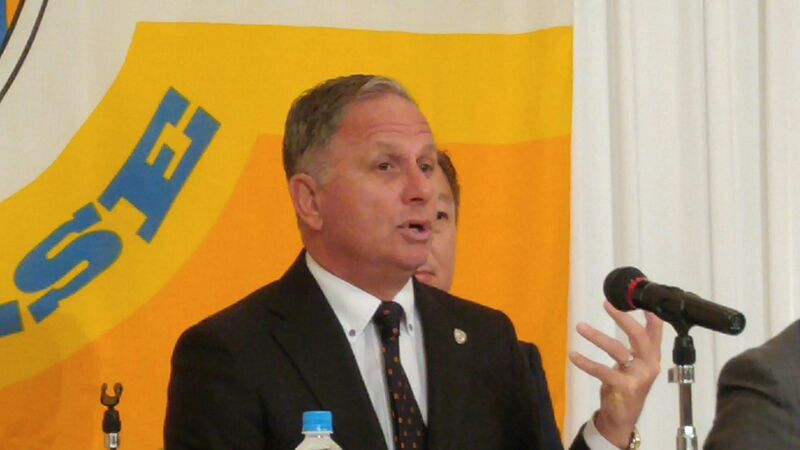 For this the budget will reach 45 billion yen by then, with more than 620 sponsors (compared to 500 in 2018)! 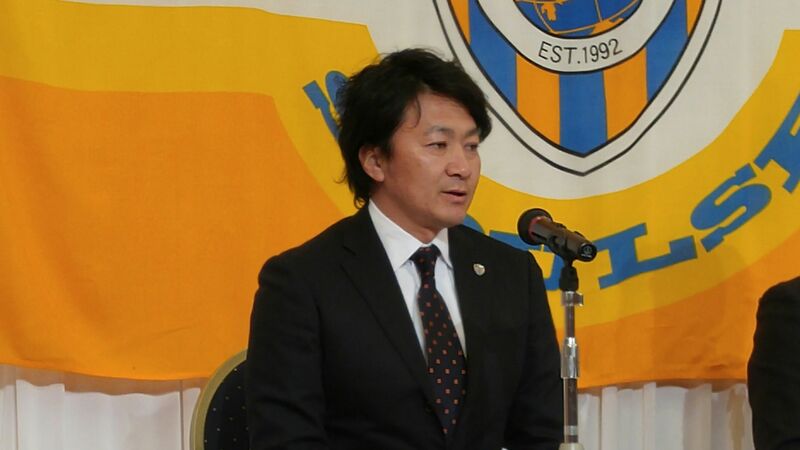 But the bigger changes to help reach these lofty goals is a marked change of staff and philosophy with the arrivals of Swedish Team manager, Jan Anders Jonsson and his head coach, Yoshiyuki Shinoda! Nevertheless he already informed anyone interested that his style will be hands on, focusing on communications and flexibility, taking a direct approach when needed but asking players to think more for themselves especially during training sessions to become more naturally adaptable on the field. He also insisted on team spirit and mutual reliance. For this he will be ably helped by head coach, Yoshiyuki Shinoda, who in spite of his relatively youth has been a full time high level head coach for no less than 12 years! This certainly promises high expectations from all the fans who will learn soon that things will be very different indeed! 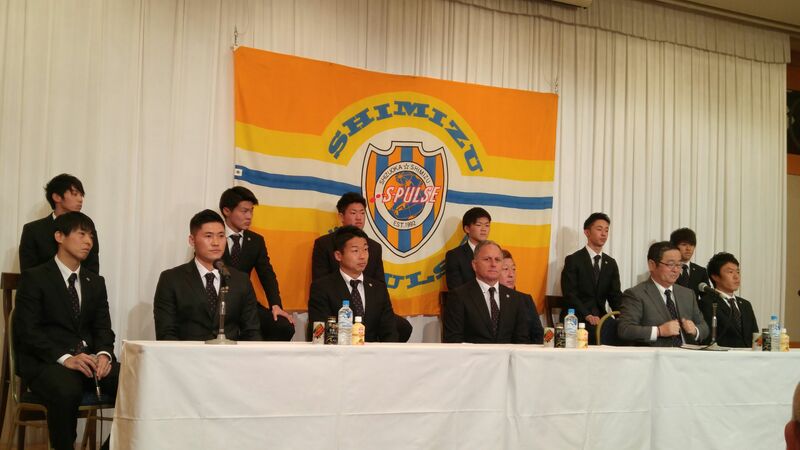 MF Akihiro HYODO (Jersey No 15), a former Shimizu S-Pulse who has played at the highest level for the last 12 years. MF Jumpei KUSUKAMI (Jersey No 14), who has played at the highest level for the last 7 years, including a stint in the Australian Top League. GK Yosiaki ARAI (Jersey No 31), a top-class goalkeeper just out of university. Expect a few more interviews soon! SHIMIZU S-PULSE vs CEREZO OSAKA (April 20th 2019) LIVE COVERAGE! Shizuoka City, Japan, The World Plastic Model Capital: Shizuoka Hobby Square! Martial Arts Clubs List in Shizuoka City! Kinomiya Shrine (木宮神社) in Atami City! English Disaster Drinks and Weird Hearts! The Hidden Gems of Japan! Hiroshige Wood Block Prints for All in Gofuku Cho Street in Shizuoka City! Japanese Gastronomy, Markets & Local Products at S-Pulse Dream Plaza in Shimizu Ku, Shizuoka City! Shizuoka (& Japanese) Gastronomy: Sushi & Sashimi – Eat Local! Shizuoka City Products & Crafts (and more!) at Shin Yoo Bank! Shizuoka Culture & History: Oomura Family House and tea Fields in Shizuoka City! Shizuoka Fujisan Airport in Shimada City! Shizuoka Gastronomy: Eels at Chigusa in Hamamatsu City!